The classic piano rags and blues of Berl Olswanger are reentering the world. University of Memphis record label High Water Records has recently acquired the right to reissue these works, and bring back the sounds that brought joy to Memphians starting in the 1920s. 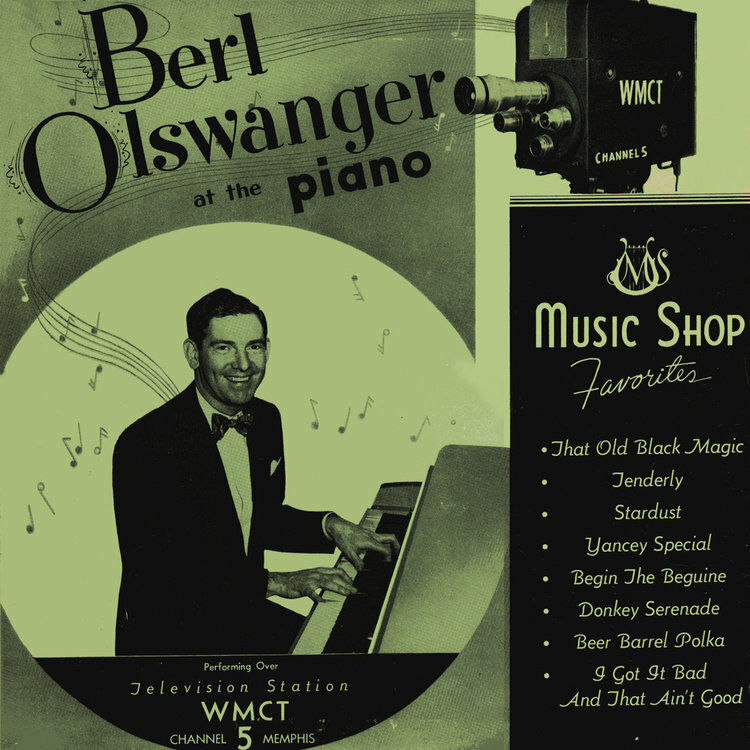 Berl’s first studio recording cut in 1953, Berl Olswanger at the Piano, was released March 17, 2017. Born in 1917, Berl Olswanger grew up surrounded by the sounds of Memphis. He quickly developed an affinity for the piano, and honed his talent playing nightclubs throughout the city. After a stint on WMC radio, he joined the tour of the George Olsen Orchestra, which led him to Hollywood. While in Hollywood, Mr. Olswanger played for legendary acts like Bing Crosby and Bob Hope. When the crisis of the second World War landed him in the Navy, Admiral "Bull" Halsey quickly placed Olswanger in charge of all music and entertainment for the South Pacific. Though he was later offered the opportunity to travel elsewhere with his music, Berl Olswanger decided to return to his beloved hometown. During the rest of his life in Memphis, Olswanger opened several music stores, influenced local music education, composed famous jingles for King Cotton Franks and Kraus Cleaners, and wrote classic songs like “The Man Who Stole My Beale Street Gal.” His life was legendary on both a local and national scale, and eventually earned him the title “Mr. Music of Memphis". For more information on Berl's life, check out www.berlolswanger.com.